Bathrooms are becoming so much more than just a practical space. 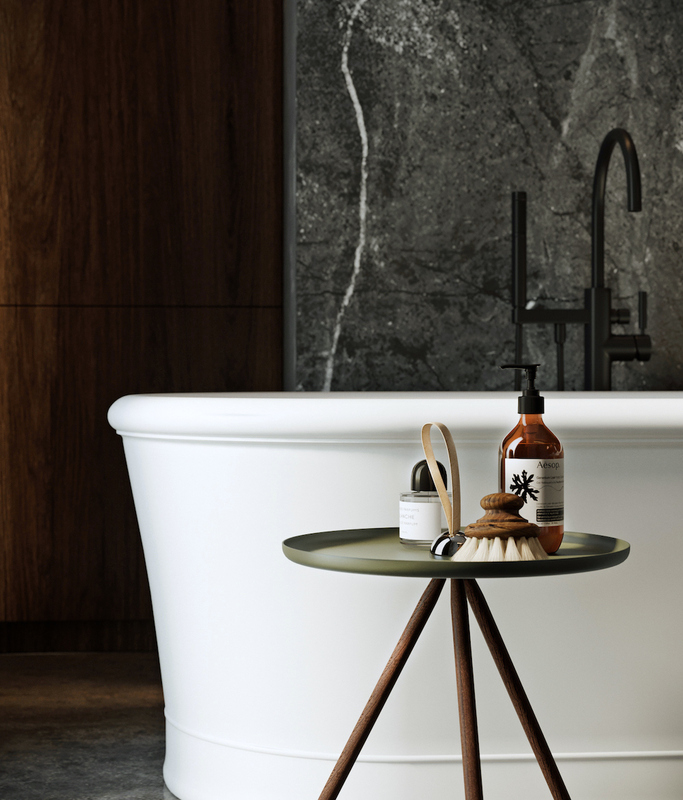 Inspired by luxurious hotels, more and more of us want to transform our bathrooms into beautiful and relaxing havens to soak away the day’s worries and refresh. This is certainly the objective for my family bathroom renovation, for which I have been collecting ideas lately. 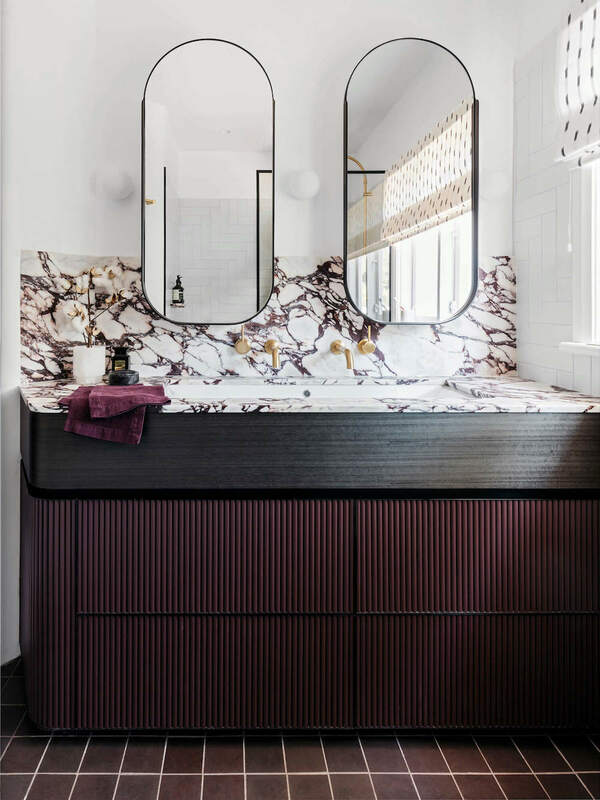 With bathrooms on my mind, I am delighted to be teaming up with Soho Home to bring you this guide on how to bring a 5-star hotel feel to your bathroom; from the practical and style considerations, right down to lovely bathroom accessories that finish off the space beautifully and make it a joy to use every single day. If you are fully renovating it, the first thing to nail down is the layout, that is if you didn’t already have a layout that worked well. Play around with a scale drawing of the space and think about what you really want in the space. 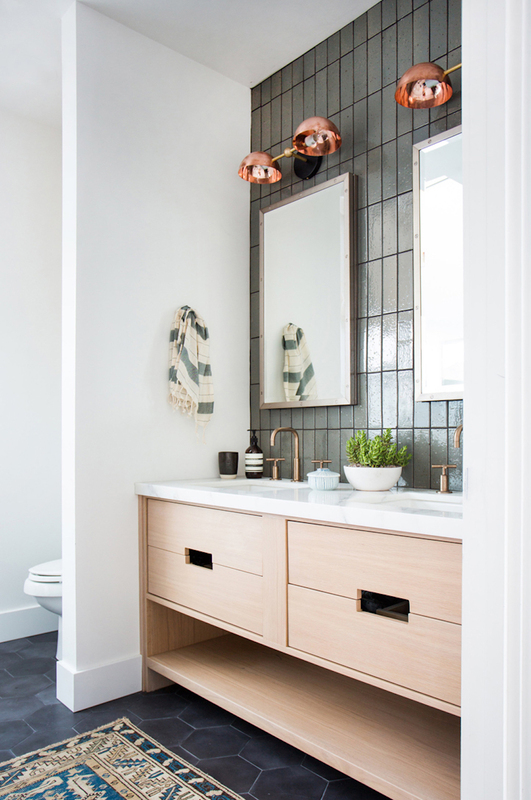 Many of us have to work with notoriously compact bathrooms so there has to be a balance between wants and needs: one sink vs a double vanity, a fitted bath vs a roll top bath, a shower bath vs a separate bath and shower enclosure, etc. Also consider what you’ll see first when you walk in. If you’re going for a statement bath, or having a gorgeous vanity, it’d be great to make that the first thing you see. If possible, tuck the loo away from first sight and, for ease of plumbing, keep it against or close to the external wall where your existing drainage is. Don’t let bathroom storage be an afterthought. 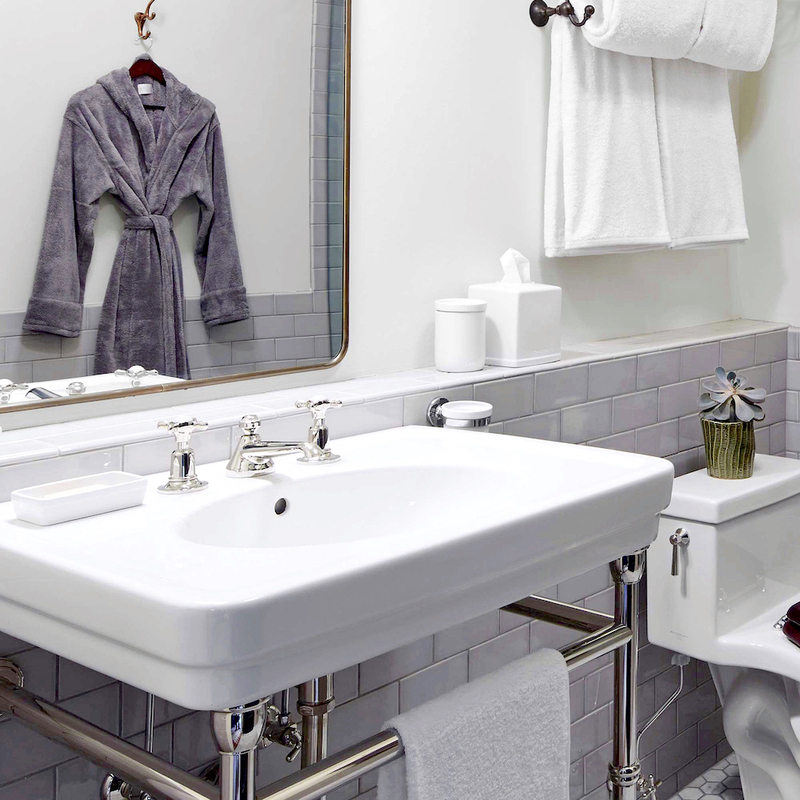 Nothing takes away the feeling of luxury in a bathroom quicker than the clutter of toiletries. Hotel bathrooms don’t require much storage but real life family bathrooms definitely do, so plan in storage by way of a cupboard and/or a basin vanity with drawers or cupboards. A mirror cabinet above the basin is also very handy but keep it stylish. Additionally, have a little niche in the shower if you can for a neat way to store the soap and shampoo that is used daily, and a shelf or two to display some pretty stuff, because every space needs some pretty stuff (point 6 below covers more on this). Have you ever wondered why everyone looks better in hotel bathroom mirrors? It’s all in the lighting! Lighting mirrors evenly on either side limits shadows, perfect for makeup application or shaving. You also need good overhead lighting to create a bright well-lit room in the morning and soft low-level lighting for a relaxing evening soak in the tub. If you don’t have a separate source for ambient lighting, you can achieve the effect by having the overhead lighting on a dimmer. Whether your style is classic or contemporary, marble can’t be beaten for a timeless and luxe hotel look. Whether cladding your shower in marble or commissioning a marble countertop, this material in all its various forms exudes luxury. 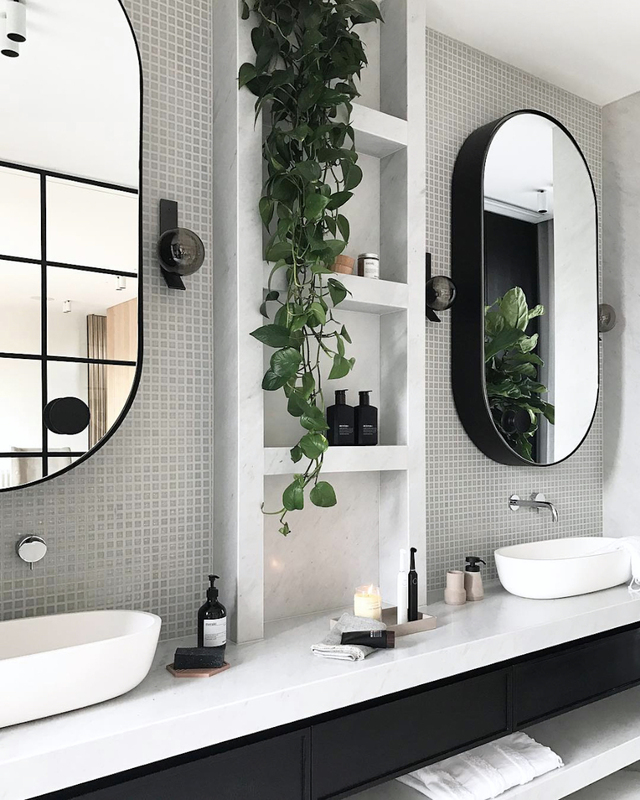 If swathing your bathroom in marble is blowing the budget, then marble-effect porcelain tiles, which I talked about in my previous post, are a more affordable and practical alternative. This marble-tiled bathroom at The Ned London, with gorgeous Cowshed products, sets the tone for a luxurious pampering experience. 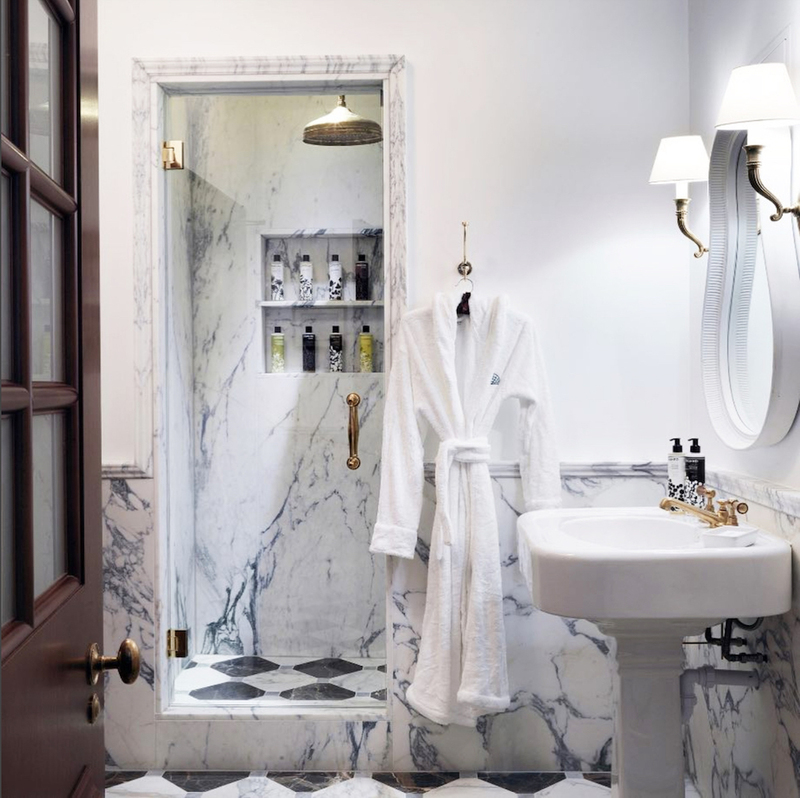 Of course, marble isn’t the be-all and end-all for bathrooms. 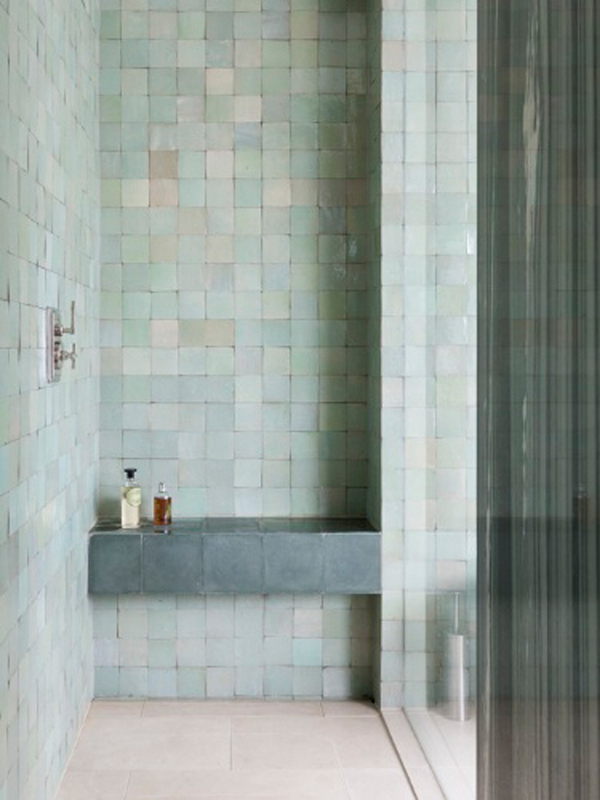 If you want a different look that still gives you a tranquil spa-style bathroom, glazed tiles in soothing colours are a wonderful option. When you’ve been through a renovation to create your dream bathroom, it’s only right that you treat yourself to the good stuff to really live the hotel bathroom experience at home! Engage your senses with soft fluffy bath linen, beautiful looking lotions and potions that smell just as good, and diffusers or scented candles. 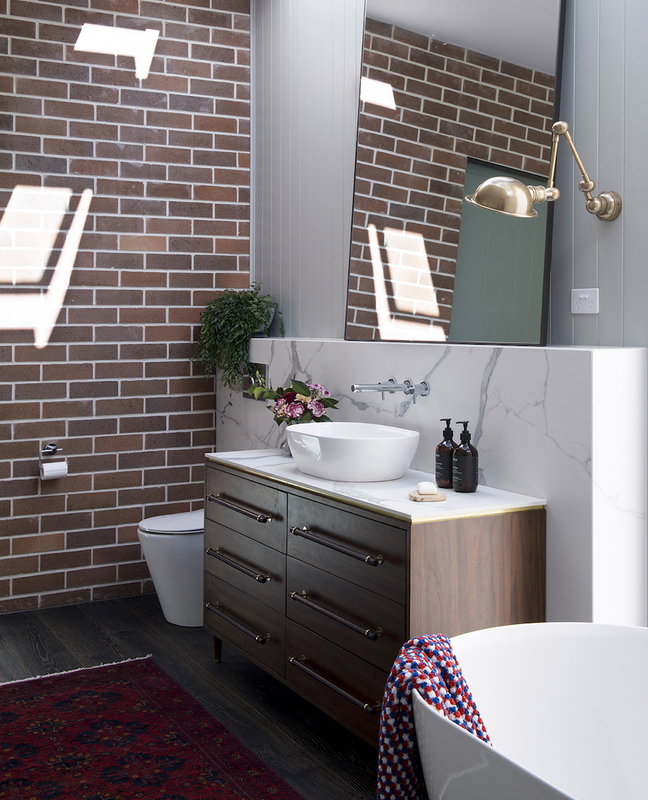 Have a look at all the gorgeous bathroom products at Soho Home to help you finish off your bathroom design and get you on your way to feeling pampered as you deserve to be! From hooks to hair putty, they have it all. For any toiletries that are purchased at the supermarket, the trick is to decant them into pretty bottles and storage jars. Cotton balls, for example, look positively lovely when stored a pretty glass jar on the counter or shelf. 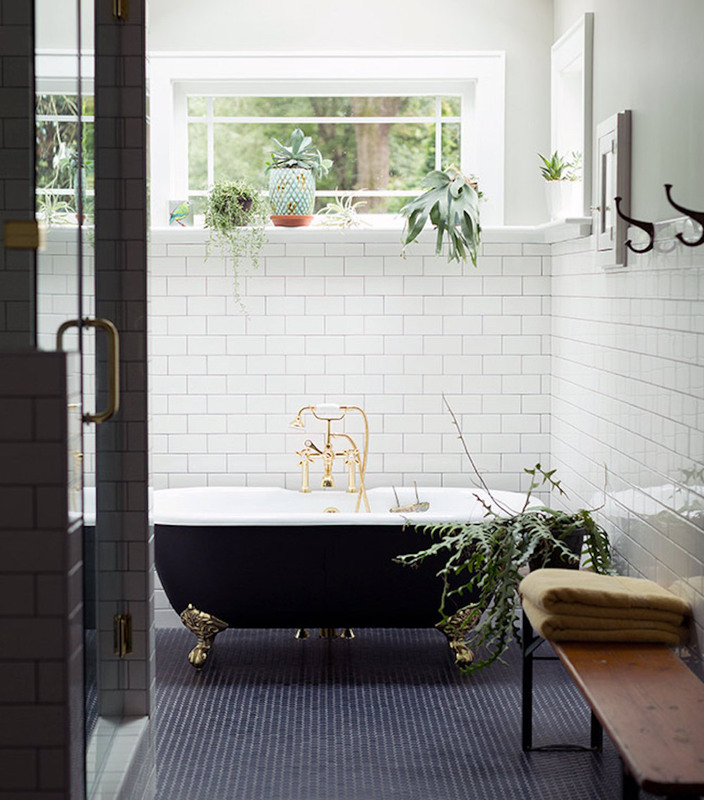 Finally, the tip that I use for every single space: greenery and wood are great for adding colour and life, especially so in a bathroom which may otherwise look aesthetically cold. 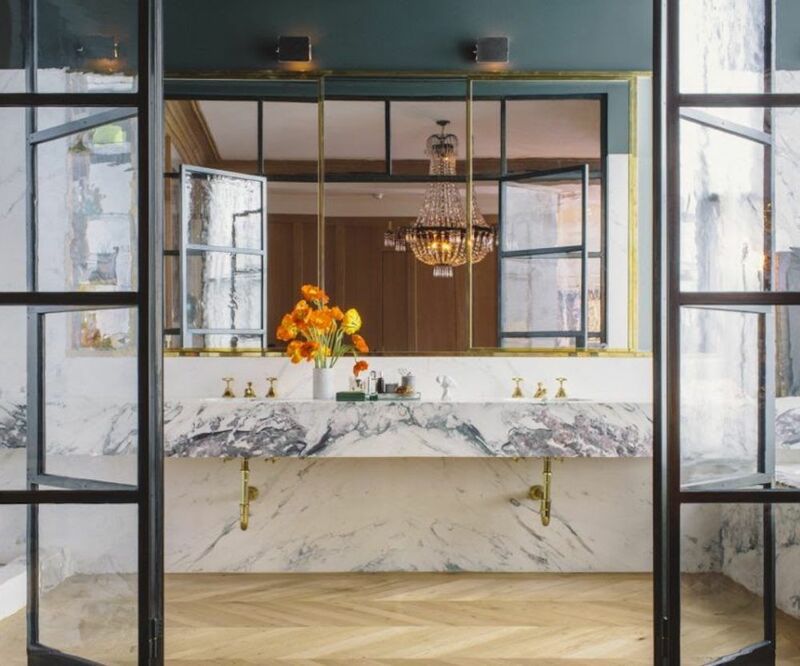 So these are my tips for creating a hotel-style look and feel in your bathroom for a gloriously luxurious experience you can enjoy every day. 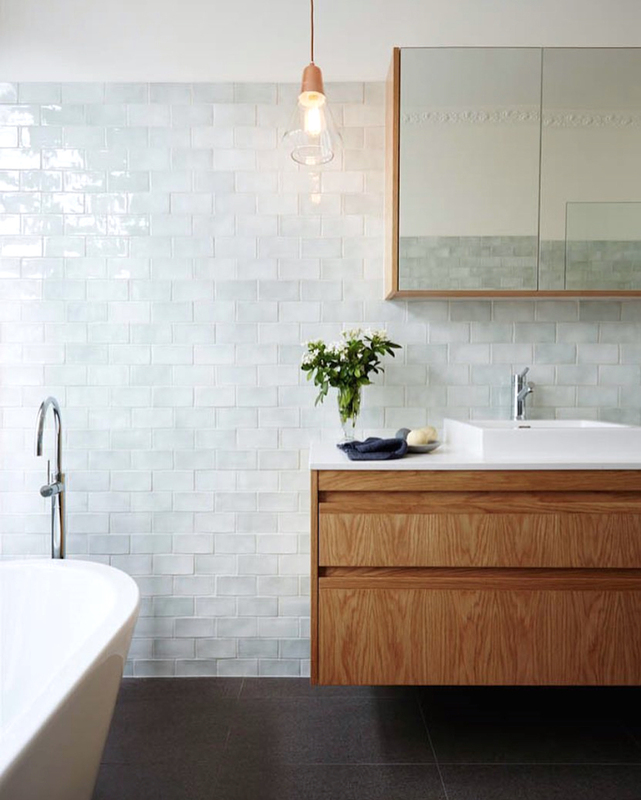 Are you renovating a bathroom or would you like to give yours a little revamp? What is your must-have thing in a bathroom? Let me know in the comments below! This post is in collaboration with Soho Home. As always, all ideas, opinions and words are my own. This is a great post. 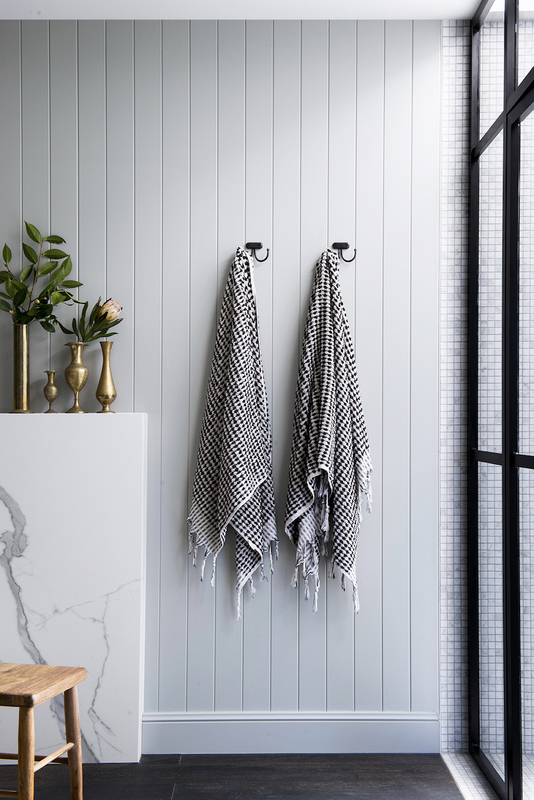 We are just finishing off our bathroom renovation and I am delighted we seem to have nailed most of these pretty well even in a small space. The dimmer switch for the overhead light was the best design decision I have ever made – it means I can still read in my candlelit bath without needing a million candles! I can’t wait to have it completely finished, but I already love it in there, absolutely worth going the extra mile to create a calming and beautiful space since we use it daily. These bathrooms are all absolutely stunning and making me want to redo our bathroom, ha! Our bathroom is definitely lacking in the “pretty things” category, which I think is one of the reasons I don’t quite *love* it yet – It’s just a bit toooo minimal for my liking. Definitely need to add some plants, prints and a bit more style (eventually). I am about to squeal with excitement… I have just received the products for our bathroom update and they are so good I cannot wait to give myself that boutique hotel look as well!!!! That IS exciting, Jenny! I can’t wait to see your bathroom come together, I know it’s going to be absolutely gorgeous! As always, a very inspirational post. Now I just wish my bathroom looked like one of those 🙂 Oh, and I just voted for you, good luck! I’m in the process of converting my loft and looking at all the options out there. Love some of the pictures above, especially those gorgeous vanity units. I love all the gorgeous images you’ve chosen here. And you’re right about the storage. We spent more than we planned on our new ensuite to get a bigger vanity unit and it’s worth every penny for the clutter it hides! 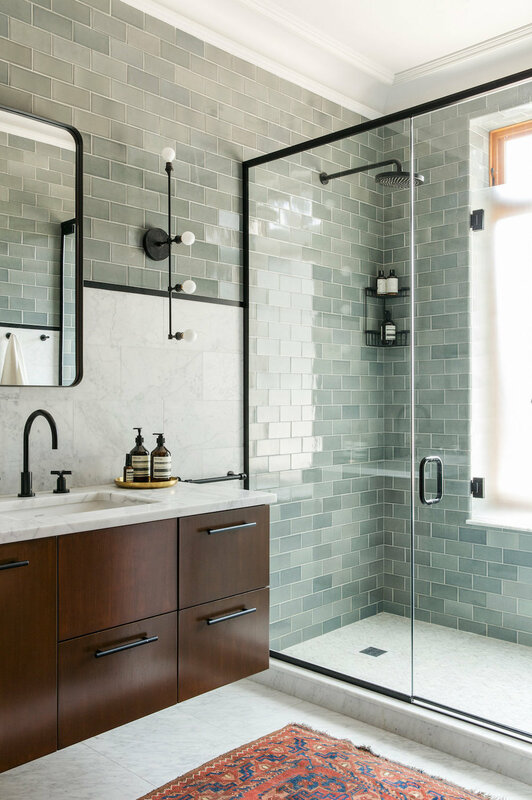 Ohhhhhhh — WOW to have a bathroom large enough to warrant a pair of Crittall doors eh?? I love all of these picks Meera. 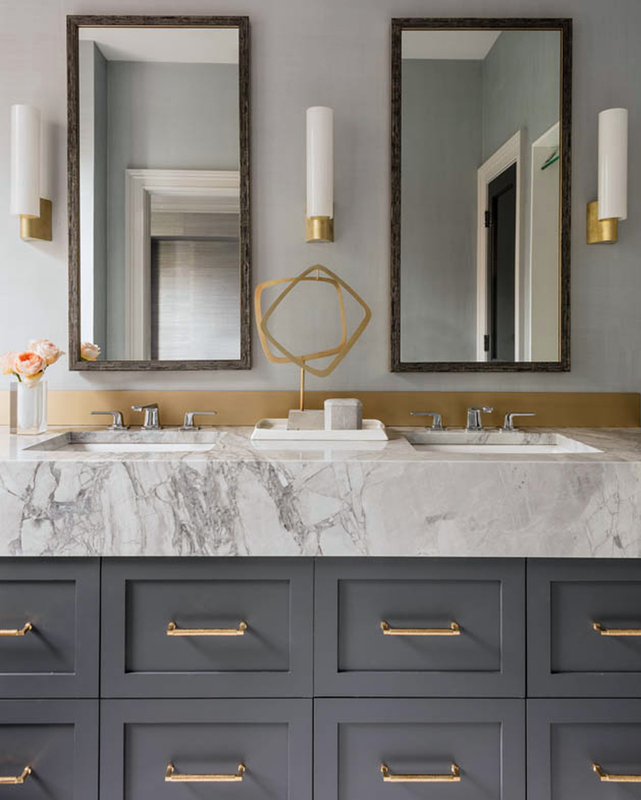 The grey and marble vanity is my favourite here too! So pretty. Always good to have a dream, Caro! 🙂 Our current bathroom and WC are small and badly designed, so I’m very excited that we’ll be increasing their size a bit – enough to make a significant difference – when we renovate. 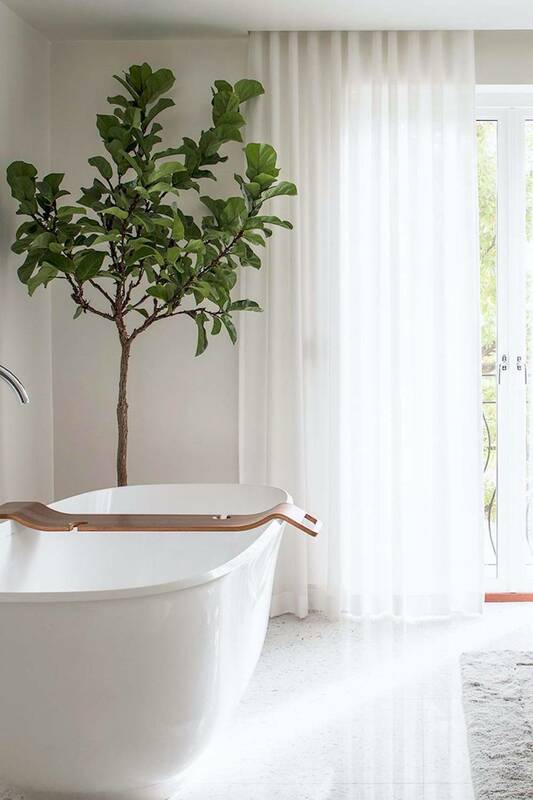 I wish I had a big bathroom with a lovely fiddle leaf fig tree. To be honest, my bathroom renovation is at least 7-10 years away. But your tips regarding greenery and wood touches can help make my space a bit happier inth meantime. If only homes in this country had at least one big bathroom. They’d make a huge difference to the way we live and relax at home. I also love the serene feel of the bathroom with the fiddle leaf above. Ours won’t be big enough for a freestanding bath, but hoping to figure out a design that still feels relaxing while being super functional. Yes, greenery and wood always helps!